Southeastern Conference of Seventh-Day Adventists and FreeD.O.M. 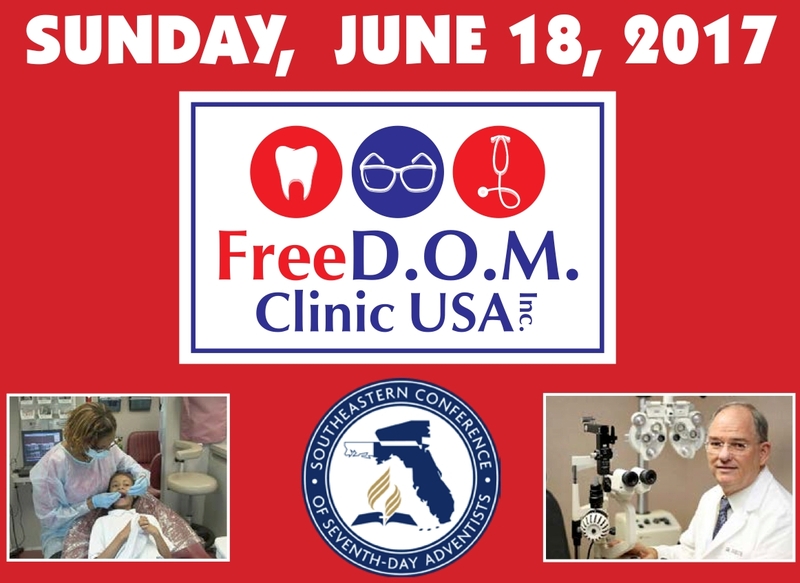 Clinic USA present free dental, vision, and medical services. The clinic will be held on June 18, 2017, at the Southeastern Conference Campground, located at 1771 Highway 20 East, Hawthorne, Florida, 32640. Doors open at 7 a.m. and will be first come, first served. The purpose of this event is to serve the uninsured, under-insured, homeless, and low income residents of the community. For more information, visit their Facebook page at https://www.facebook.com/freedomclinicusa/ or email info@freedomclinicusa.org.